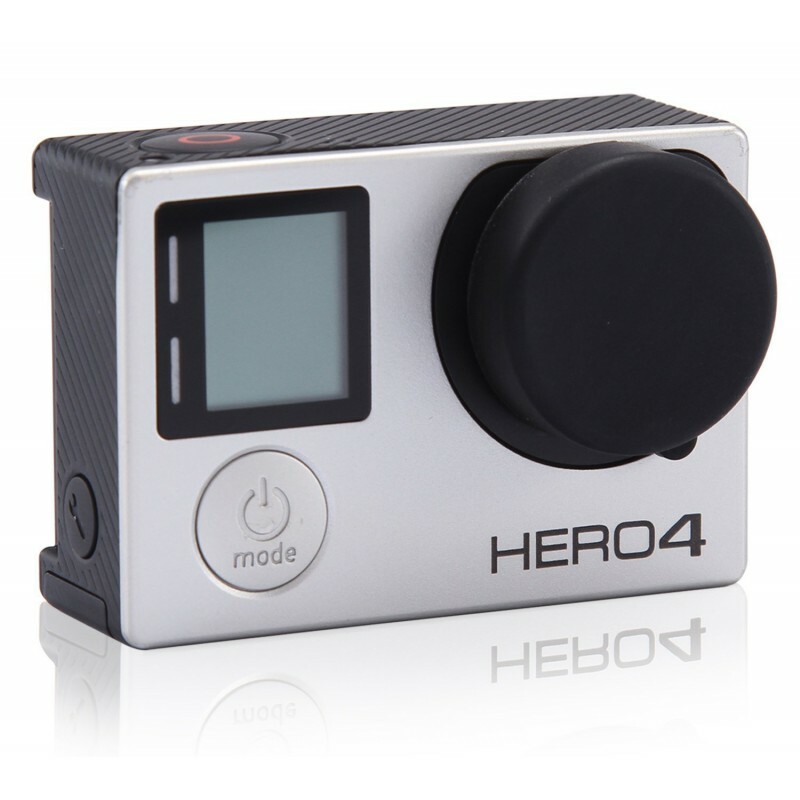 The open design enables the GoPro camera to optimize its audio function to capture sound like huffing-puffing and surf. This housing frames all the main features of the GoPro. 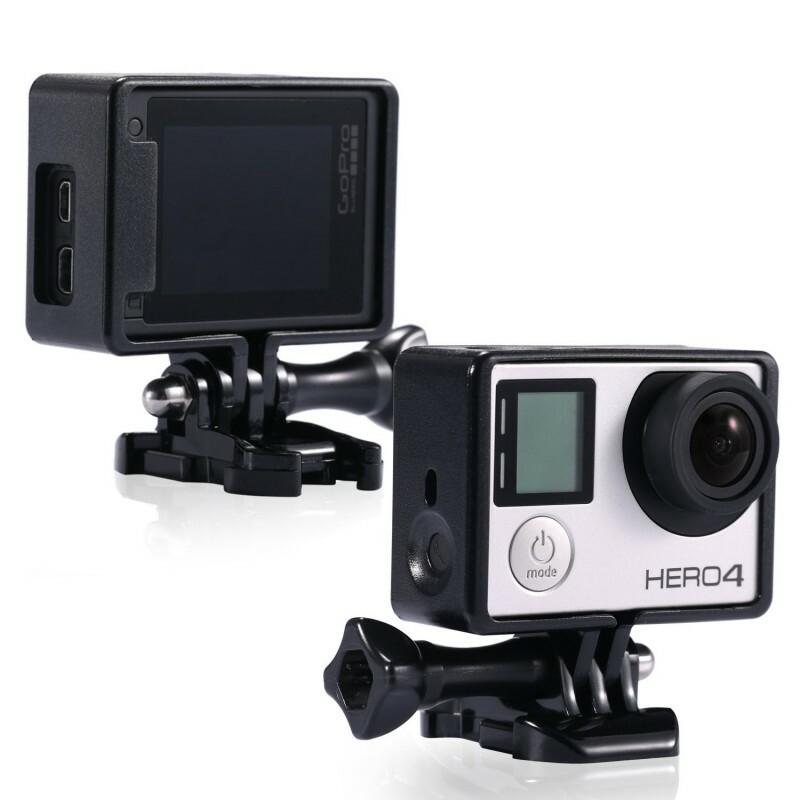 Due to the slim and sleek design of this frame mount. 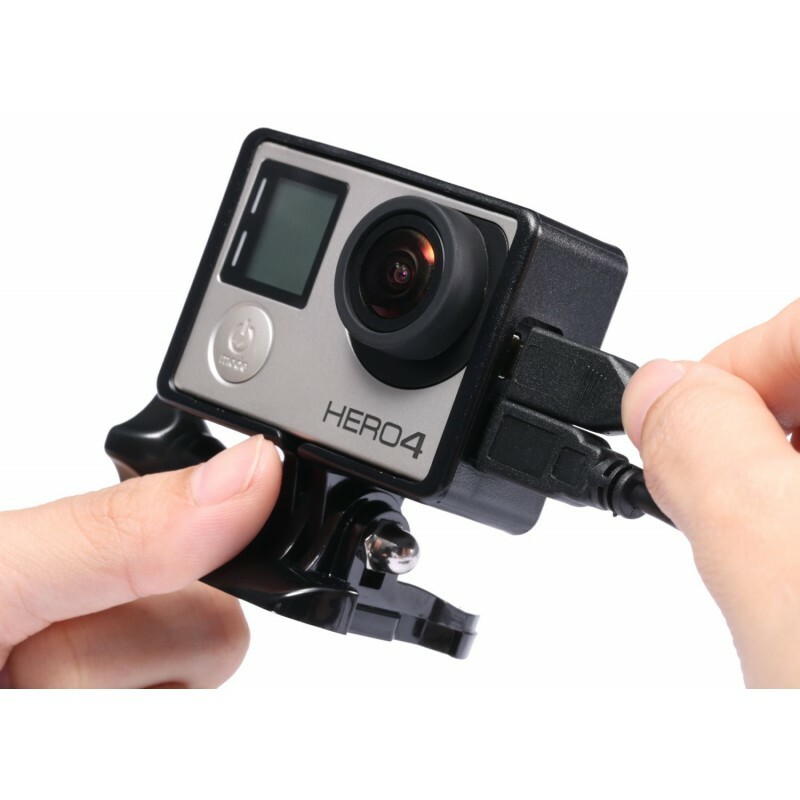 Specially designed for Gopro Hero 3/3+/4. 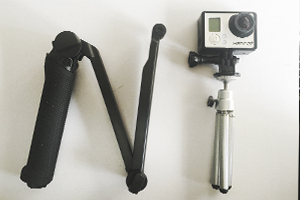 Come with protect lens cover, tripod mount adapter, quick release buckle, long screw. 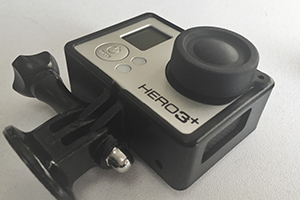 The Frame mount is the smallest, lightest way to mount your HERO 3/3+/4camera. Sleek frame design for low profile, compact mounting, engineered for optimal sound at speed. 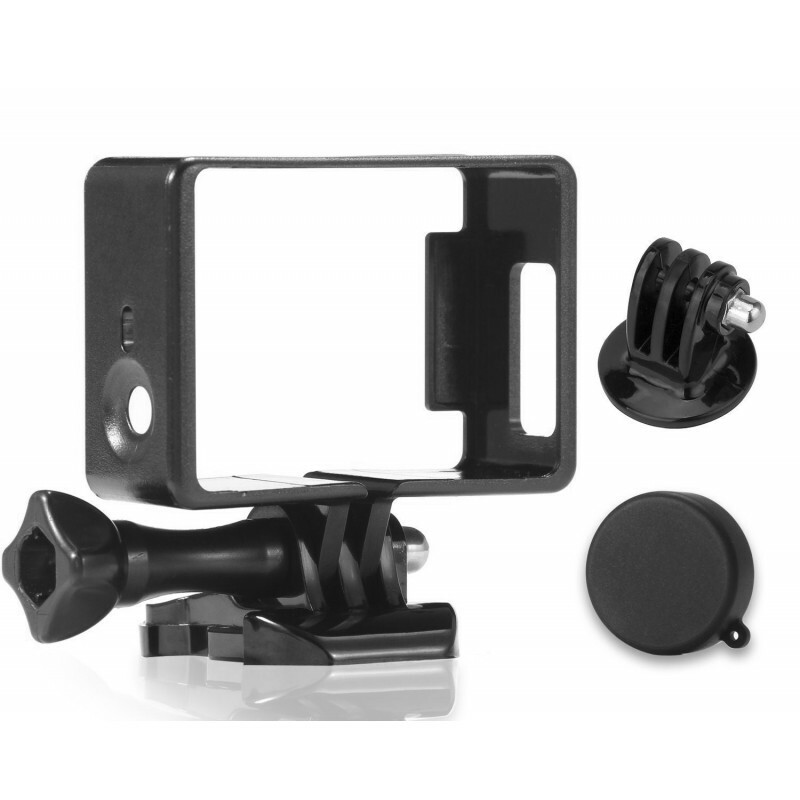 Come with protect lens cover,which can give your lens an extra protection when you do not use it. 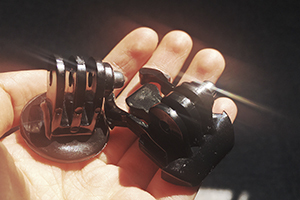 Encase your camera inside the frame housing, then use the long thumbscrew to fix the frame to the mount. 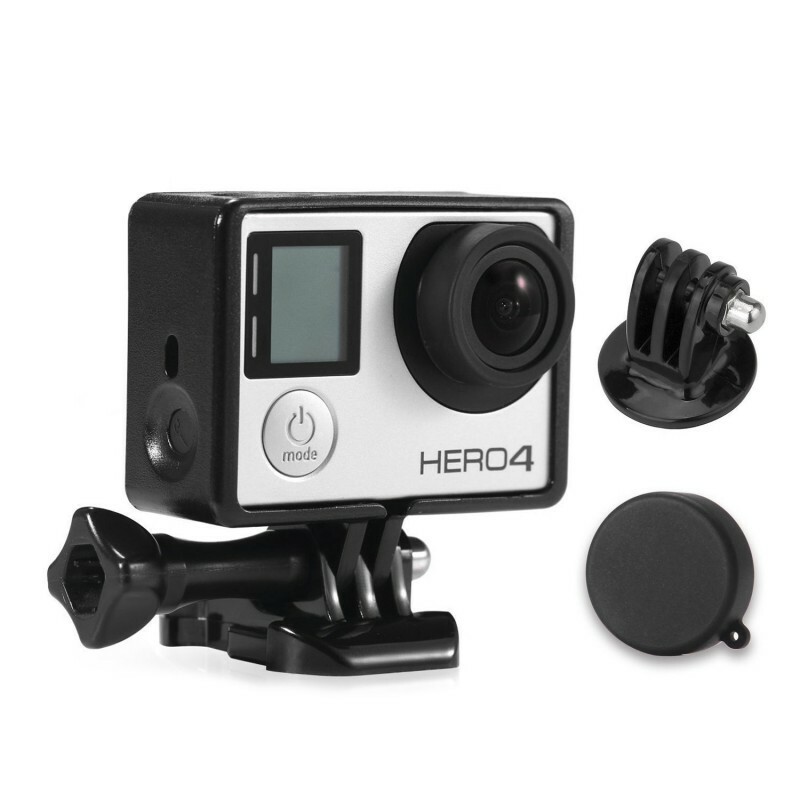 You can attach the mount to many different GoPro accessories. 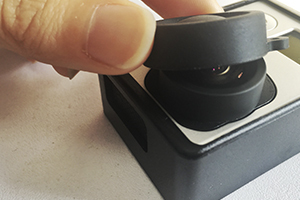 The Frame mount is NOT waterproof and not optimized for use in extreme conditions where dirt and sharp objects can damage the camera lens.